How Well Do You Know The North East? Find out how well you know the North East in our location quiz! 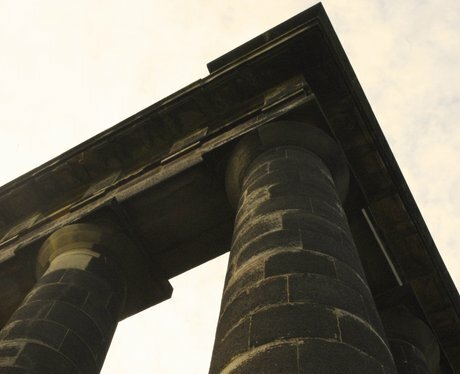 Just scroll through our up close pictures of famous North East landmarks and see if you can suss out where they are. Don't worry we'll pop the answers on there too. 1. You will see this on the top of a hill. 2. It's Penshaw Monument in Sunderland. 3. If you're feeling a little artistic you may have visited here. 4. It's Mima, in Middlesbrough. 5. A great way to cross a river. 6. It's the Tyne Bridge, connecting Newcastle and Gateshead. 8. It's Beamish Museum in County Durham. 9. Steam won't work for this one. 10. It's the brick train in Darlington. 11. A look back in history. 12. It's Segedunum Roman Fort in Wallsend. 13. We are all angels in the North East. 14. It's the Angel of the North. 15. You'll find this by the sea.